At a meeting of the Brighouse Town Board yesterday evening (Tuesday 4 December), Calderdale Council announced that it will be temporarily reintroducing the full hour of free on-street parking to help boost business in the town before Christmas, in response to concerns from traders about reduced footfall. “We want to do everything we can to support Brighouse’s great businesses and encourage people to visit the town for shopping and leisure, especially over the festive period. 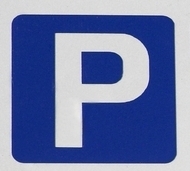 The Council recognises that its parking charges need to be flexible to meet the needs of each of Calderdale’s distinctive towns and villages, and tweaks will be made where necessary. This entry was posted in Business, Economy, Parking. Bookmark the permalink.